What inspired the to start Goldfaden MD and when was the company founded? I have always been a creative yet clinical thinker when it comes to medical solutions, so problem-solving for my patients naturally steered me toward product development. I remember developing formulas for my wife and young children as they began to encounter various skin issues—it was a genuine and instinctive passion. When I began practicing in the late 60’s, the anti-aging movement hadn’t really begun on a medical level, and most patients sought in-office procedures as the first line of defense. As I gained experience in private practice, I realized just how significant preventative at home skin care could be for my patients and how it could hopefully reduce their need for more extreme corrective measures in-office. There was a void in the skincare marketplace of products that delivered visible anti-aging benefits but that could be tolerated by sensitive, post surgical, and allergic skin types. It was clear to me that the world needed a serious yet chemically clean line they could trust, and GOLDFADEN MD would be the answer. 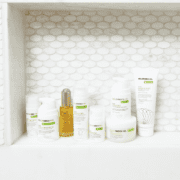 What did the process look like to formulate non-prescription, medical-grade skincare products? The process starts with identifying a problem I see in office, and from there develop at home solutions and preventative measures. If brightening is the goal, for example, we want to layer potent natural actives together without adding in silicones, fillers, and irritants. The challenge is keeping the formulas clean without compromising the stability.The first product I developed was Doctors Scrub, our hero product. I started mixing various ingredients together in my office until I perfected the formula through patient trials and lab testing, which took a couple of years. 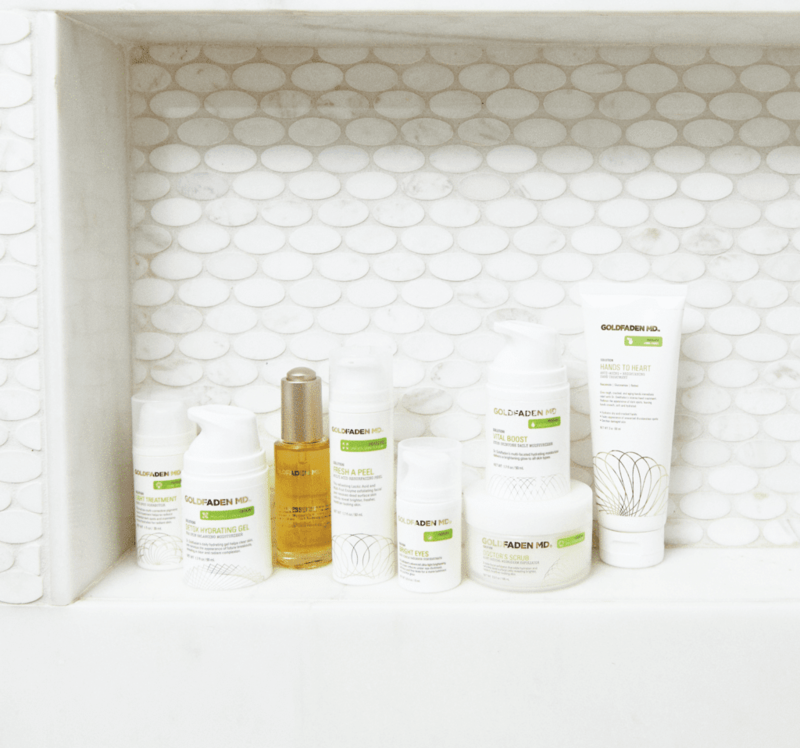 Can you tell us how Goldfaden MD’s products target specific skin concerns? How are they unique compared to other products on the market? 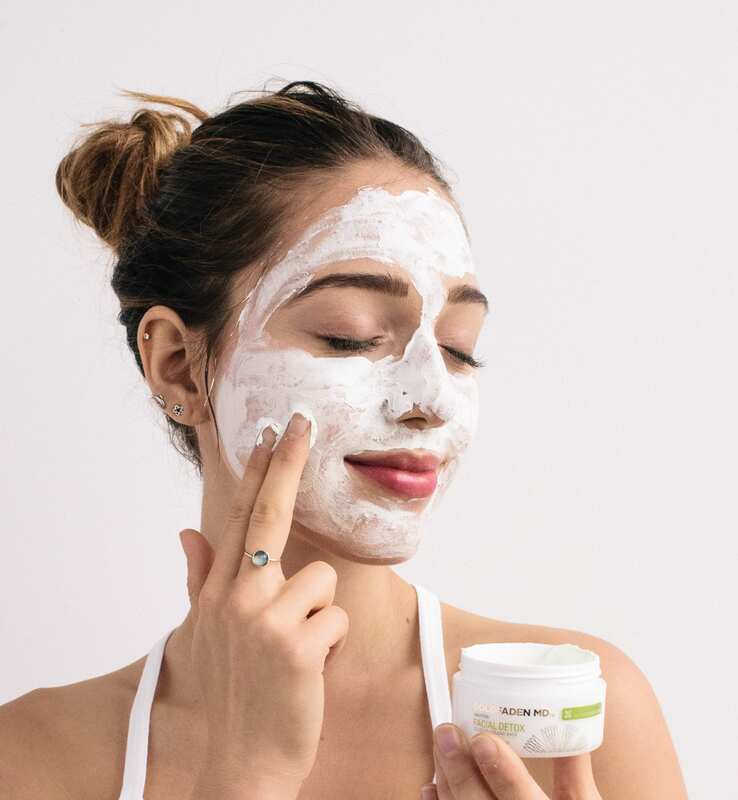 I have honed in on what I feel are the most important and often common skincare problems and built the range in order to allow consumers to address them at home and improve skin health long term. Superior formulations featuring naturally-derived ingredients with effective delivery systems set the GOLDFADEN MD brand apart. We couple scientific, results driven products with globally-sourced natural ingredients, bridging the “natural” and “physician” product categories at the prestige level in a way no other brand has. What exciting things are happening with Goldfaden MD in the near future? On a product level we are expanding The Plant Profusion line and core collection this winter with additional skus. I can’t wait to unveil them. On the business side, our rate of rapid growth is extremely exciting, and I am very proud of our team. What is your hope for the future of the business? 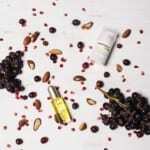 I’d like to see us continue to grow as a globally recognized brand and remain the leader and best in class range within the category that we have uniquely chartered: Prestige Natural skincare formulated by a dermatologist. With the right retail partners who share our passion and modern vision of clean beauty, we can bring GOLDFADEN MD to many more individuals here in the US and abroad. What is the biggest challenge facing the business? Growth at a rate of control has been top-of-mind for us since inception. Our distribution model has been very calculated and strategic over the last three years, and now we have incredible momentum. With Lisa’s marketing leadership, and strategic investments in public relations and social media communications, we have had great success controlling our messaging, earning trust and praise from international beauty media and influencers, and exciting retail partners, new markets and ultimately consumers. The next chapter is about continuing this success but on a larger scale with the right support at retail, maximizing opportunities for greatest visibility and expansion here in the US and globally. Where do you see growth opportunities with the brand? We have had a 40% growth year-over-year since launch and we are working hard to continue to continue on that fast track for this fiscal year and into next. With a heavy focus on retail door expansion, new product launches, online and social media initiatives, and large sample marketing partnerships, we will likely surpass our year-over-year growth for this fiscal year, which is really exciting. Working with the right retail partners greatly impacts the success of the brand and we are certainly continuing to look at both the retail landscape and shifts in consumer behaviors—namely, leveraging social media engagement–in order to hone in on the brand’s expansion and growth opportunities to allow for us to continue building upon our strong footprint within the beauty category.